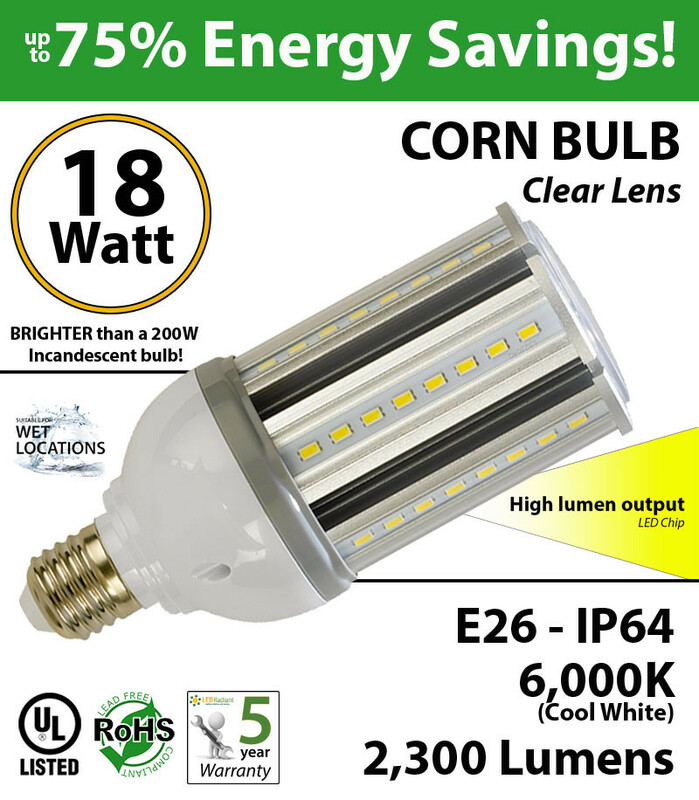 This 18 Watt, 2300 lumen Commercial LED bulb is the perfect retrofit for 100 watt incandescent or halogen Lamps. 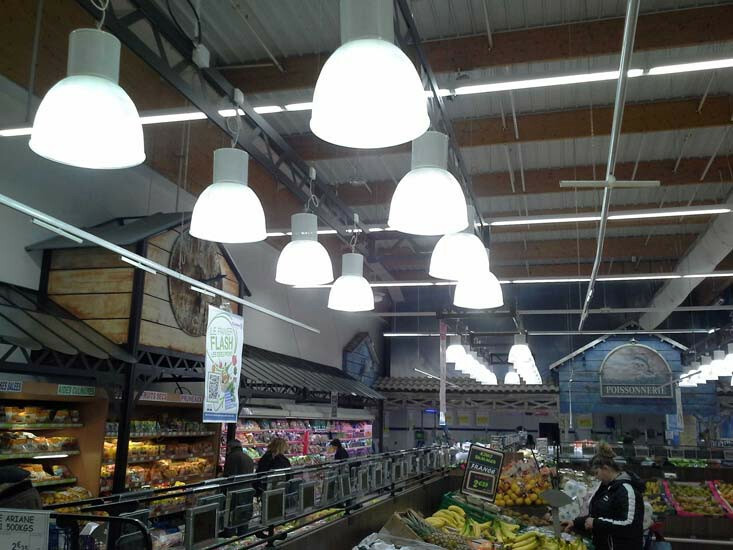 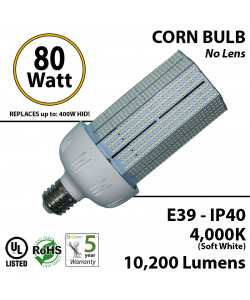 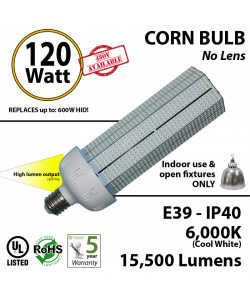 This 6000 Kelvin led corn bulb has a 360 degree beam angle which is ideal for lighting commercial and industrial spaces such as warehouses, storage rooms, factories, supermarkets and shopping malls. 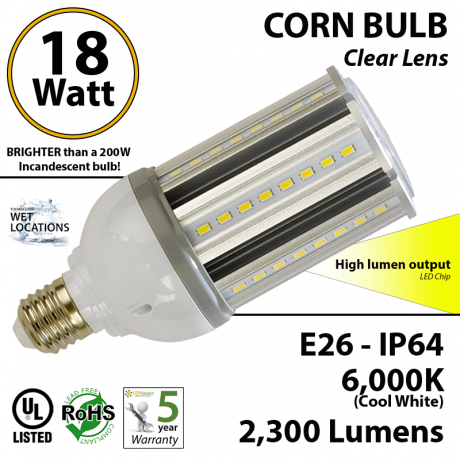 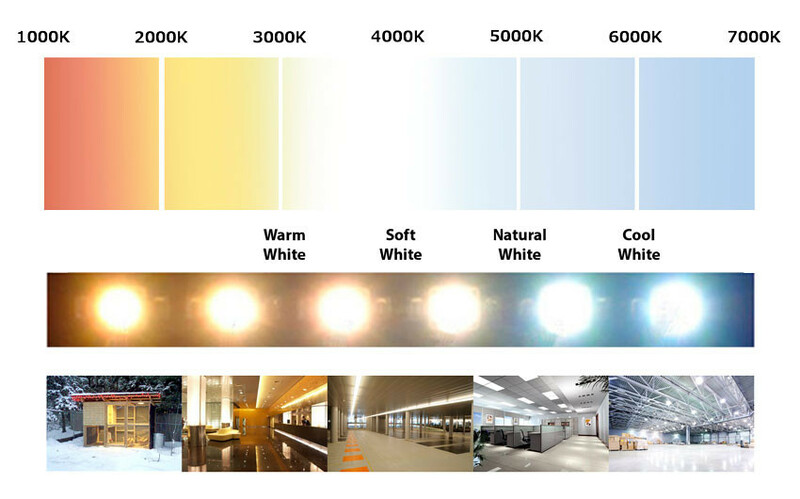 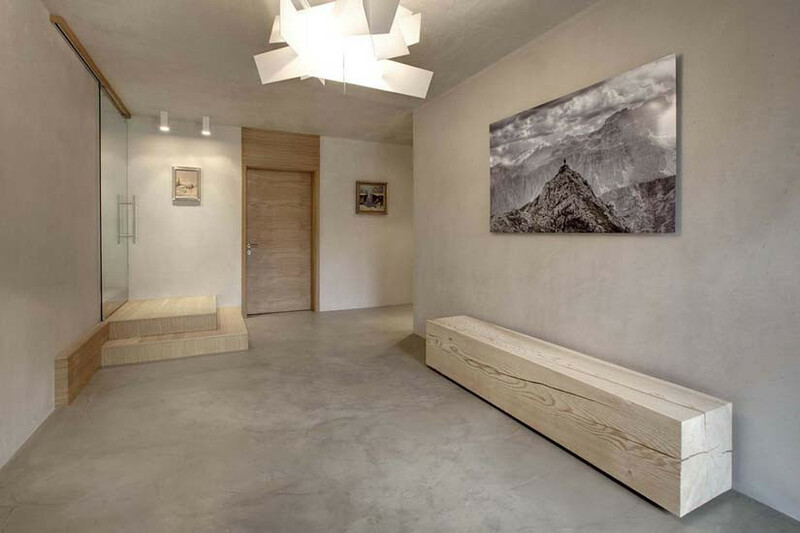 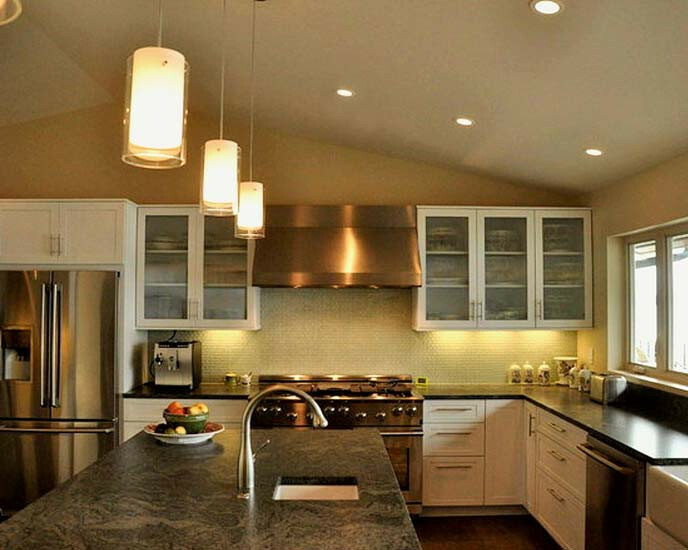 This High Lumen, low power bulb is extremely energy efficient: ten times as efficient as incandescent bulbs, five times as efficient as Metal Halide & High Pressure Sodium Lamps, and twice as efficient as compact fluorescent or CFL bulbs. 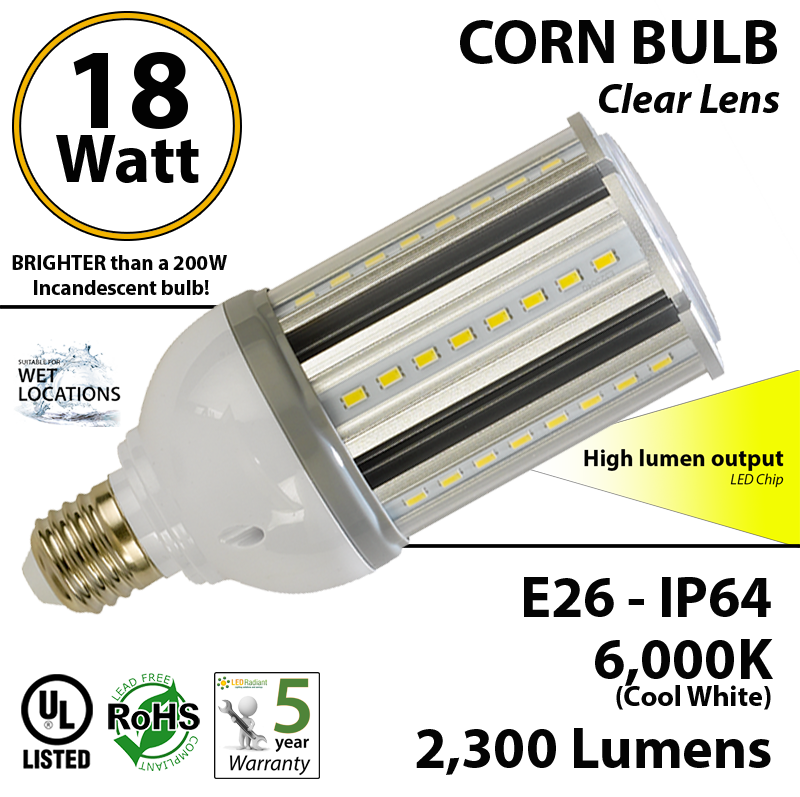 This bulb is equipped with an internal driver, highly safe and reliable. 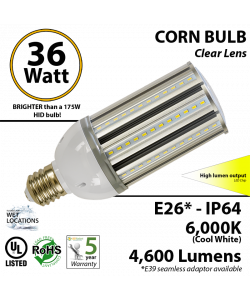 LEDRADIANT 5 Year Warranty.